by Christian Lauba. 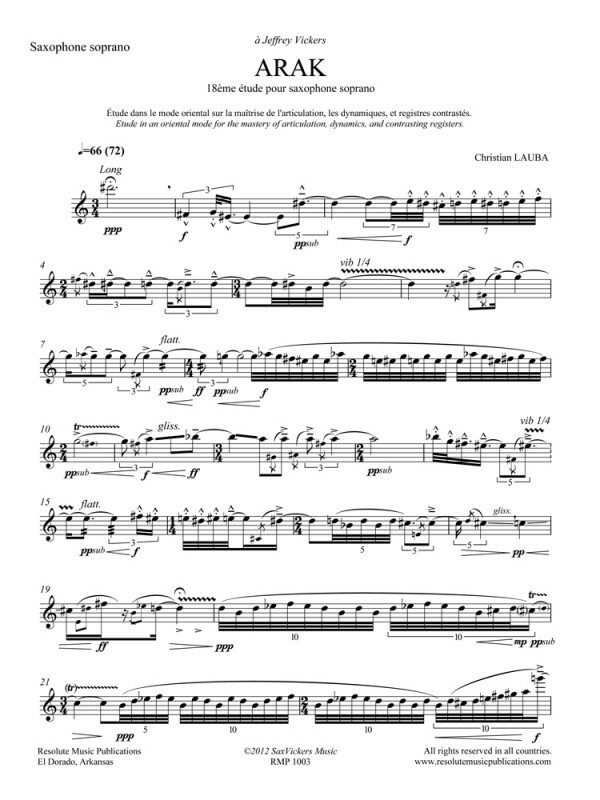 Etude for solo soprano saxophone. 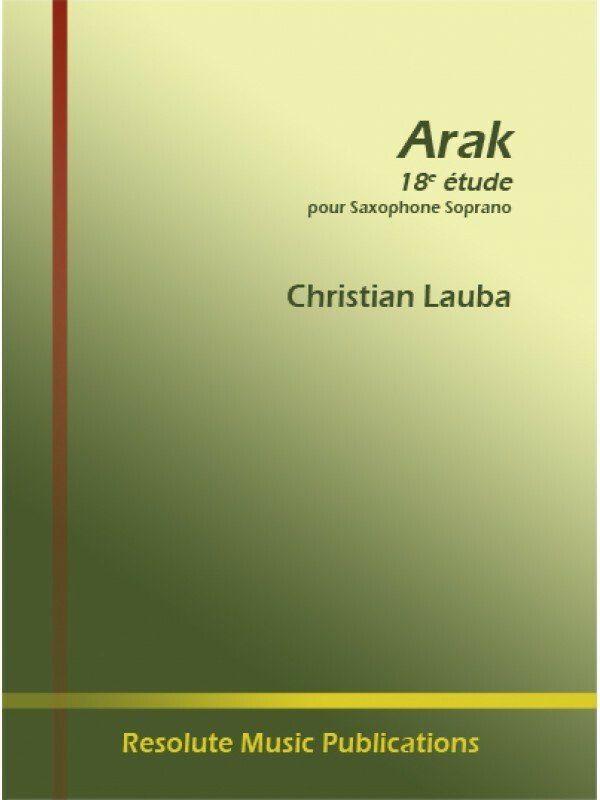 Christian Lauba's 18th concert étude, Arak, is for solo soprano saxophone. 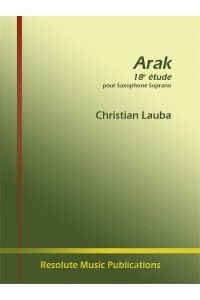 Dedicated to Dr. Jeffrey E. Vickers, it is titled after a Moroccan village and style of music. Clearly influenced by Eastern music, several sections are reminiscent of a shawm. Advanced techniques required include multiphonics, slap-tonguing, flutter-tonguing, and 1/4 tone vibrato manipulation. 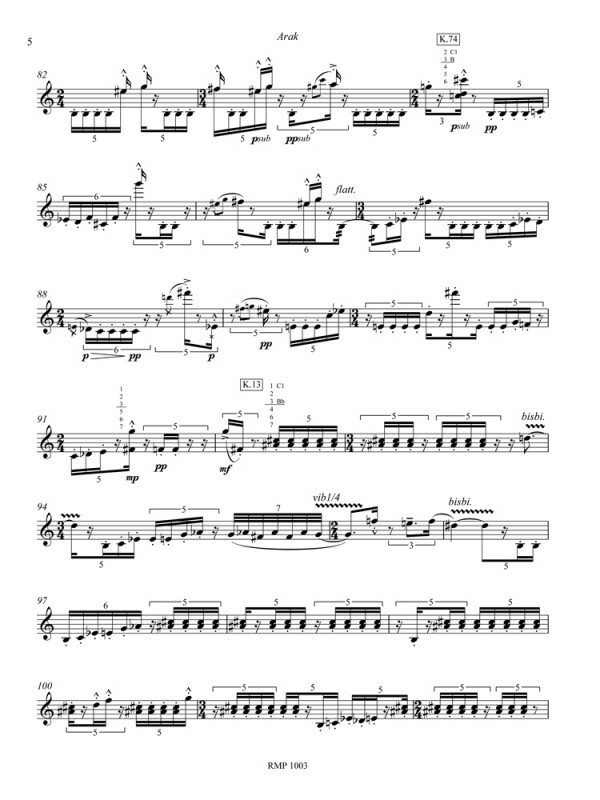 A section of intense virtuosity exists in the middle section consisting of asymmetrical rhythmic groupings.